You have created an awesome website. Over time, you add more pages, content and tweaks to the site. As your website gets larger, so can your CSS. You may add new styles for displaying a landing page, carousel or videos. Eventually, you have unused styles that no one remembers what it was used for. This unused CSS can start to slow your site down. Cleaning up your CSS from design changes and other additions can be a hard, time-consuming and tedious task. How do you clean up your website without breaking the site? Errors can creep in your CSS. You may forget a semicolon, copy code from CodePen or Stack Overflow that solves a problem or another team member added custom CSS to solve a problem. 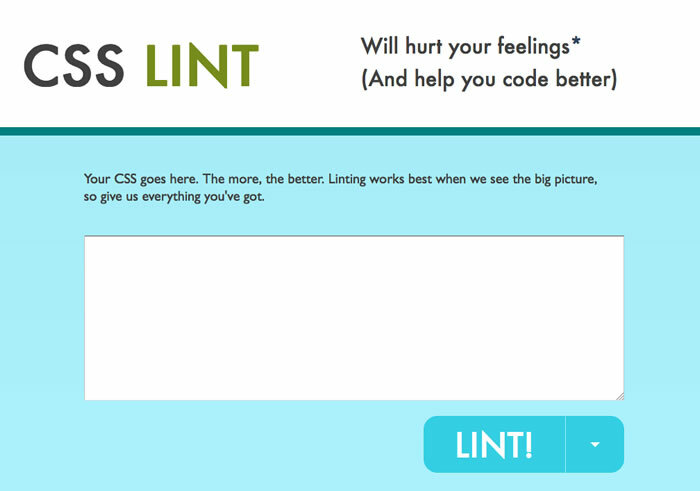 CSS Lint analyzes your CSS and tells you what you are doing wrong. You can use it to help clean up your CSS and learn how to write it better. As you develop your website, your CSS file can grow. It may contain CSS styles that are no longer used or styles that were abandoned. With a large website, it can be hard to tell which styles are still in use. 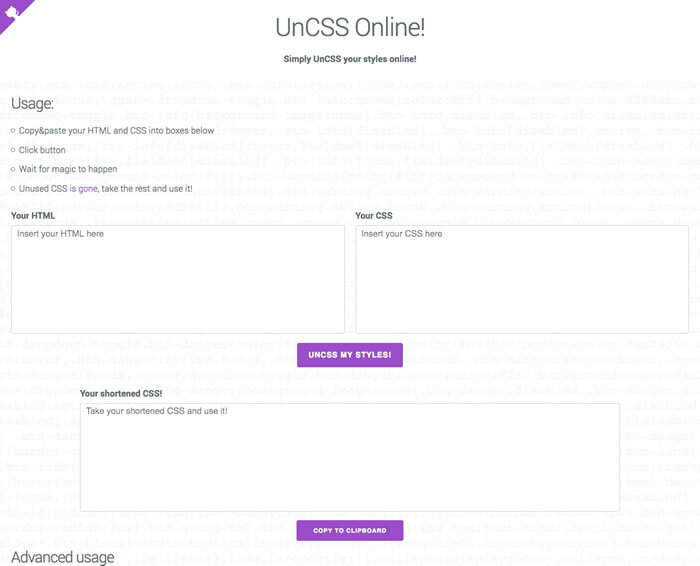 UnCSS is a Node.js powered tool that removes unused CSS from your stylesheets. It created a new CSS file with only the styles that are being used. Want on online options? UnCSS Online lets you test the tool for smaller CSS codebase. 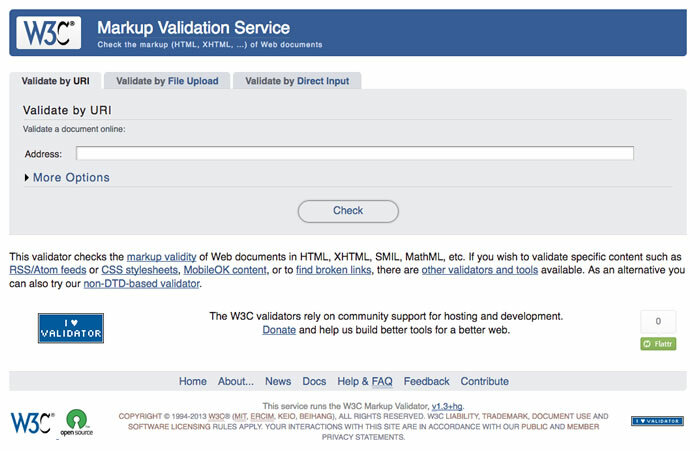 When you have fix your errors and removed unused CSS, use the W3C (World Wide Web Consortium) validator to check your website. It checks to ensure the technical quality of your website. You want to make sure that you didn’t introduce new errors into your cleaned up CSS. Since CSS is not easily testable, you want to make small changes and test each change. You want to make sure that the styles you removed or updated don’t break your design. 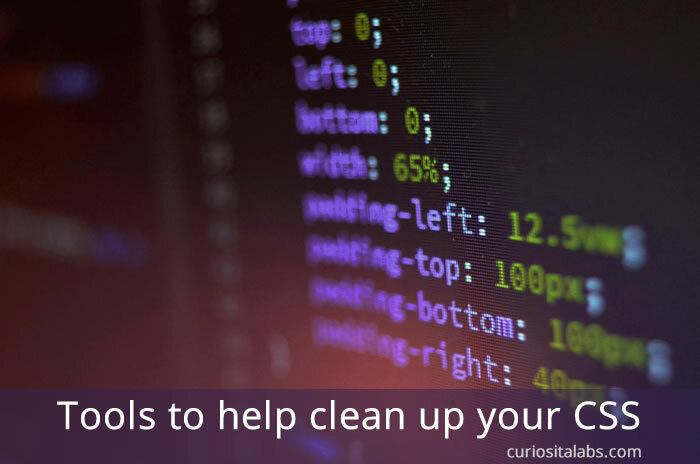 Cleaning up your CSS code is difficult, time-consuming and tedious. These tools can help to make the task easier. What CSS tools have you used to make the process easier?